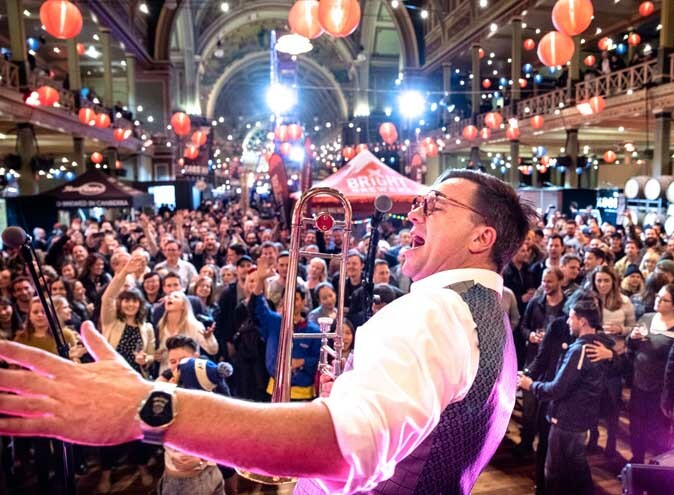 The Night Noodle Market is back and better than ever with over 20 different Asian cuisine stalls! 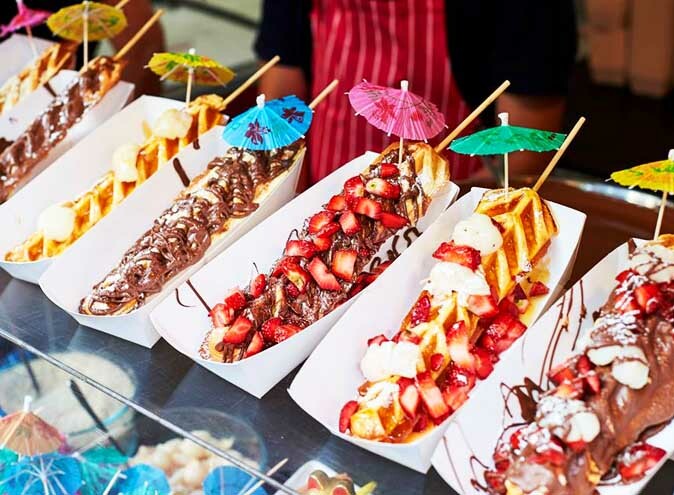 From 25 July to 5 August these delicious food stalls will grace the edge of Brisbane River. It’s totally free to enter and all stalls are cashless, so just tap and keep eating! But, we feel your pain, who wants to stand around in lines for something they might not even like? Not us. So, we have chosen 5 must-haves at this year’s market! If you were lucky enough to visit last year, you will understand why Hoy Pinoy is our first choice. With two stalls last year, there was still crazy lines for this Filipino gem. Hoy Pinoy stick to their origins and serve up authentic and quality Filipino BBQ and street-food. If you’re game to wait in line, we would highly recommend getting the Inihaw Na Baboy, which is 2 pork belly skewers in a banana ketchup glaze, and for only $13.30 you’d be kicking yourself for missing out! Another crowd fav is their Chicken Adobo Fries which is loaded fries with chicken in pepper garlic sauce, what’s stopping you?! Get your fix of some pho at this next stall. 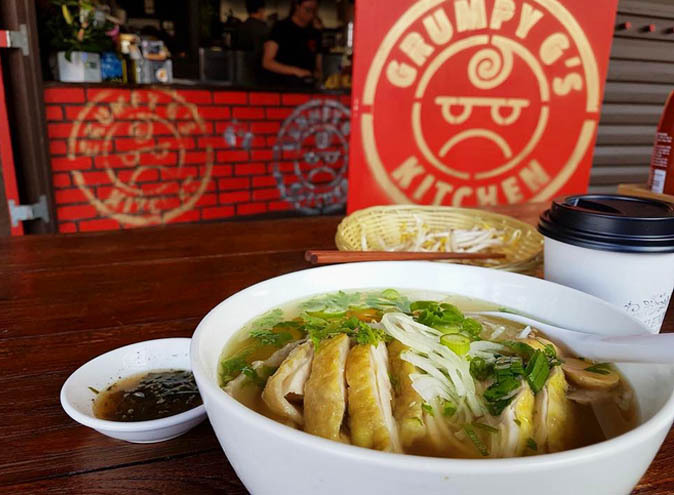 Grumpy G’s is a Vietnamese restaurant that prides themselves on their distinct fresh Vietnamese flavours and no b*llshit approach to Vietnamese cooking. 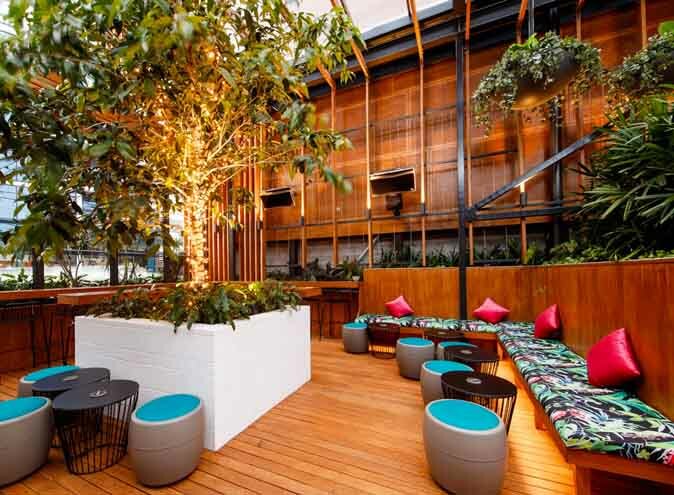 You won’t find any ‘Asian fusion’ or weird combos of Aussie and Asian dishes at Grumpy G’s. You could literally visit the Grumpy G’s stall and leave the markets totally satisfied! They’ve got Bo La Lot which is beef wrapped in betel leaves to start off with, then move onto chicken or beef pho in a cup. Your next meal could be their noodle salad bowls (we’d recommend the grilled pork which is covered in Grumpy G’s secret marinade), and lastly finish off with a mouth-watering Banh Mi! 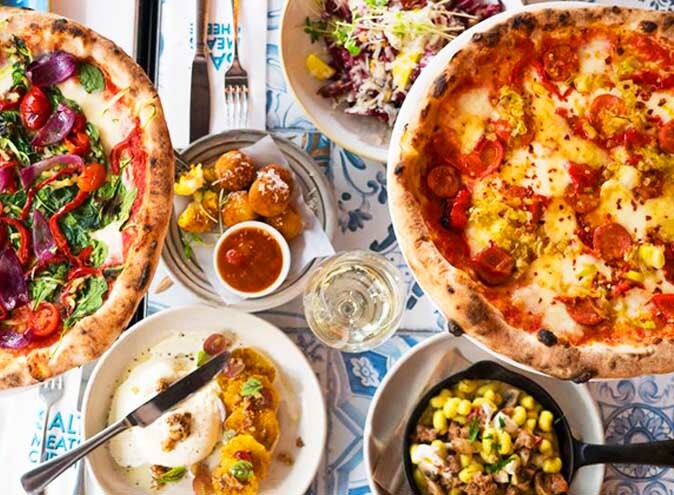 With their prices ranging from $7-$14, they’d be some of the cheapest eats you find at the market! Our next fav would have to be Little Kyoto who has taken Japanese food and given it a lil twist. Despite being a Japanese food stall, they’ve borrowed some Vietnamese cuisine, and that’s totally fine with us considering what they have plated up. A Phoritto. 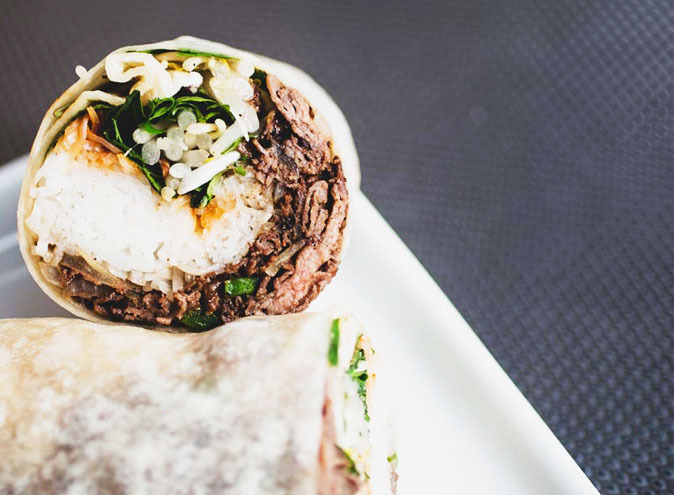 Yes, you heard (or read) right, pho but in burrito form! Everything from a delicious bowl of pho stuffed into a burrito, and for only $14! Going back to Japanese food, Little Kyoto also serves up a TOWER of takoyaki balls, which if you live under a rock and don’t know what takoyaki balls are, they are little balls of magic (and octopus, tempura scraps, pickled ginger and green onion). And if you’re not into octopus they’ve even got a tower of aburi cheese dumplings! And now onto dessert. We all know what Messina is. Some of the best ice cream ever, right? Well, this year they have stepped up to a whole new level! 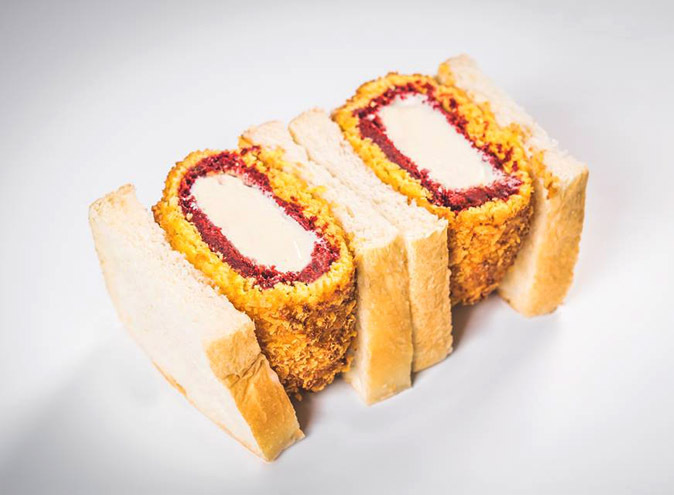 Our top pick is the Kamikaze Katsu, which is a deep fried gelato katsu sandwich… Sudachi lime gelato coated in red velvet cake and then deep fried and sandwiched in fluffy white bread with yuzu sauce! How incred. It comes at a bit of a cost, $12, but where else will you eat an Asian-inspired deep fried ice cream sandwich?! Another dessert must-have. Waffleland makes insanely decadent and delicious waffles which will end your night on a high. The big contender this year is the Cheeky Monkey. Imagine a freshly baked waffle stick with peanut butter, ice cream, fresh bananas, pretzels, wafer sticks all covered in caramel. 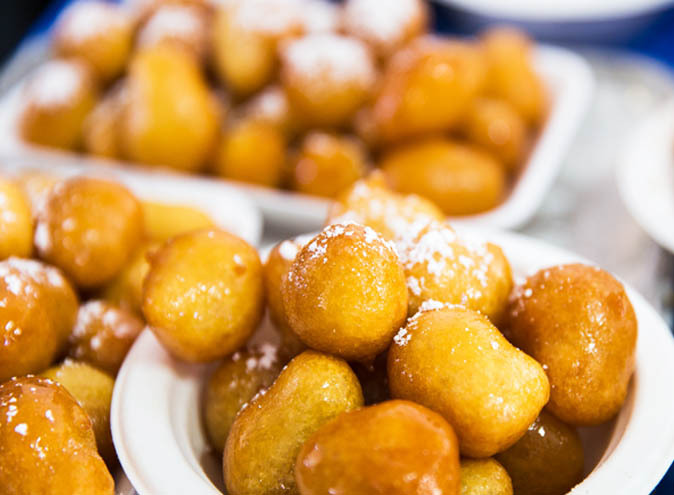 Our mouths are already watering! If you’re not up to the challenge they’ve got 4 other more chilled out options. Our pick is the Bangkok Night which is a freshly baked waffle with warm Nutella and icing sugar, and for only $10 you’d be silly not to add fresh strawberries for only $2. PS. We deliberately didn’t include Black Star Pastry and their famous Strawberry Watermelon cake because A). is it worth lining up for 20 minutes for a lil square of strawberries and watermelon and B). does anyone actually like it or is it just for the gram? 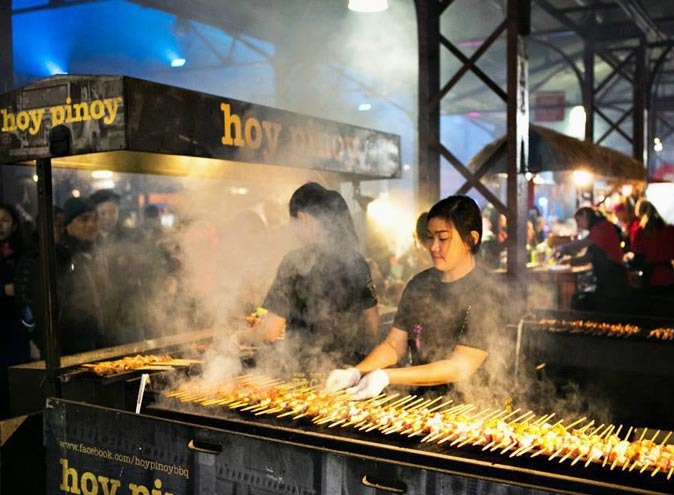 Find out more about the Night Noodle Markets here.